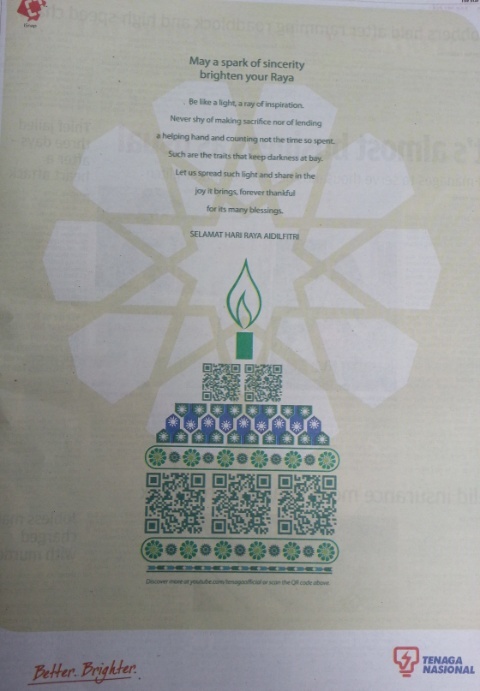 Here’s wishing all Malaysians SELAMAT MENYAMBUT HARI RAYA AILDILFITRI. 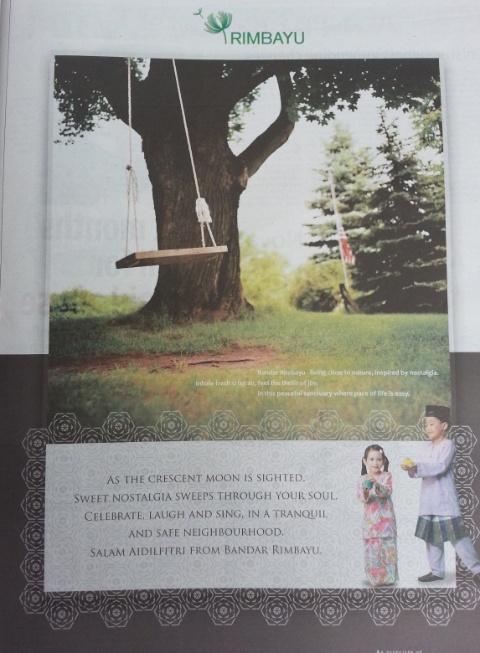 Have discovered many meaningful wishes in English in the papers….the advertisers are very creative and some of the wishes are very meaningful. 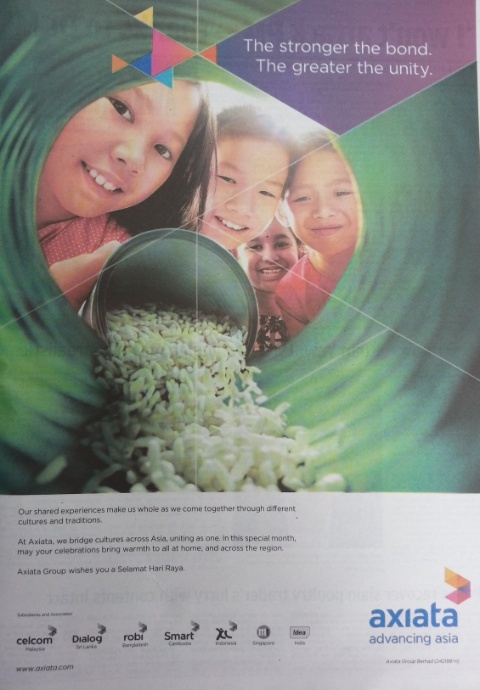 Some of the advertisement featured also showcase the Malaysian kampung lifestyle. View the complete compilation of Raya messages here. 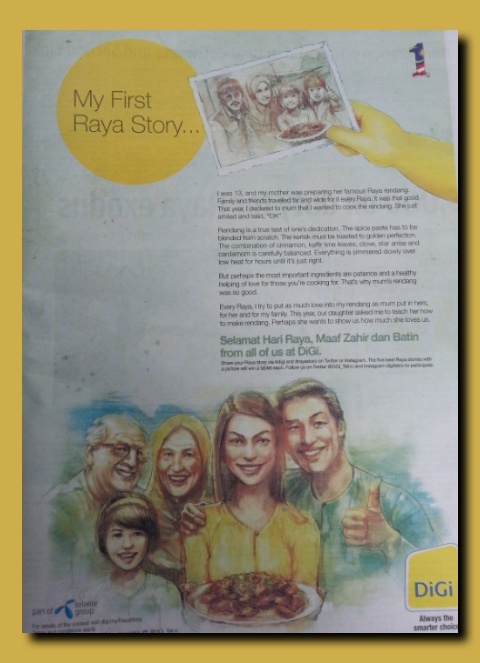 From Maybank: Every year, many give up celebrating Hari Raya with their loved ones so that we can celebrate with ours. Today, as we celebrate this special day with our families, there are many who don’t get to. The dedicated men and women who are ‘on-duty- providing us with the essential services that keep our country running. Serving at the heart of every community we work in, all of us at Maybank truly recognize the sacrifice and commitment of others who do the same. 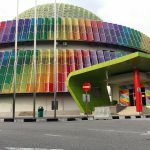 This is why this year, instead of the usual Hari Raya greeting, thousands of Maybankers will be making special visits to hospitals all across the country. Sharing the joy and happiness of Aidil Fitri with those who will be spending it far from their loved ones. I was 13, and my mother was preparing her famous Raya rendang. 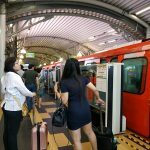 Family and friends travelled far and wide for it every Raya. It was that good. That year, I declared to mum that I wanted to cook the rendang. She just smiled and said, “OK”. Rendang is a true test of one’s dedication. The spice paste has to be blended from scratch. The kerisik must be toasted to golden perfection. The combination of cinnamon, kaffir lime leaves, clove, star anise and cardamom is carefully balanced. Everything is simmered slowly over low heat for hours until it’s just right. But perhaps the most important ingredients are patience and a healthy helping of love for those you’re cooking for. That’s why mum’s rendang was so good. Every Raya, I try to put as much love into my rendang as mum put hers, for her and for my family. This year, our daughter asked me to teach her how to make rendang. Perhaps she wants to show us how much she loves us. Be like a light, a ray of inspiration. a helping hand and counting not the time so spent. Such are the traits that keep darkness at bay. It is beautiful how the little ones pray. Perhaps it is their absolute and undivided faith. Perhaps it is their earnestness and the simple, innocent things they ask for. This Raya, may we rejoice and celebrate with the same sincerity and wonder of a child and pass on our beliefs for generations to come. 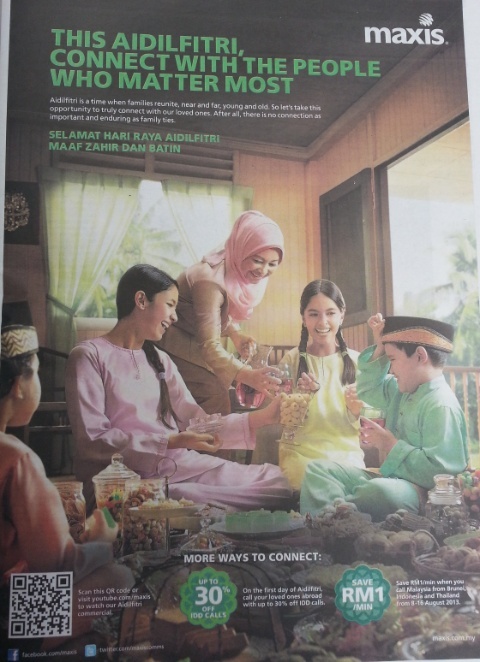 Raya wishes from Maxis: This Aidilfitri, connect with the people who matter most. Aidilfitri is a time when families reunite, near and far, young and old. So let’s take this opportunity to truly connect with our loved ones. After all, there is no connection as important and enduring as family ties. 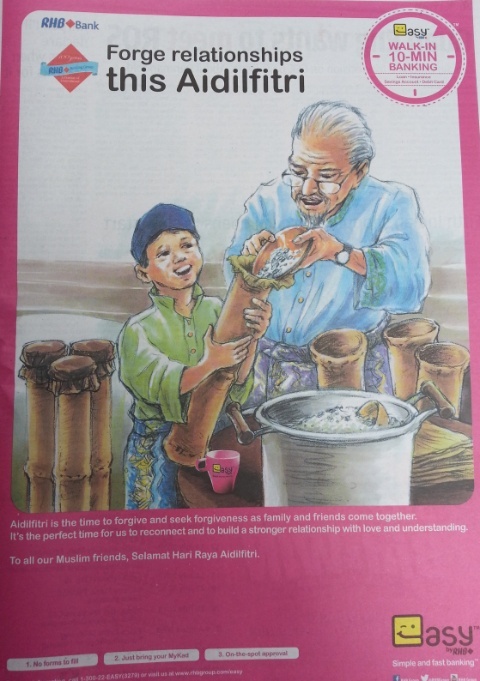 Selamat Hari Raya Aidilfitri, Maaf Zahir dan Batin. Dusk on the last day of Ramadhan, ushers in the beginning of Hari Raya Aidilfitri. A celebration made meaningful with the coming together of friends and family. 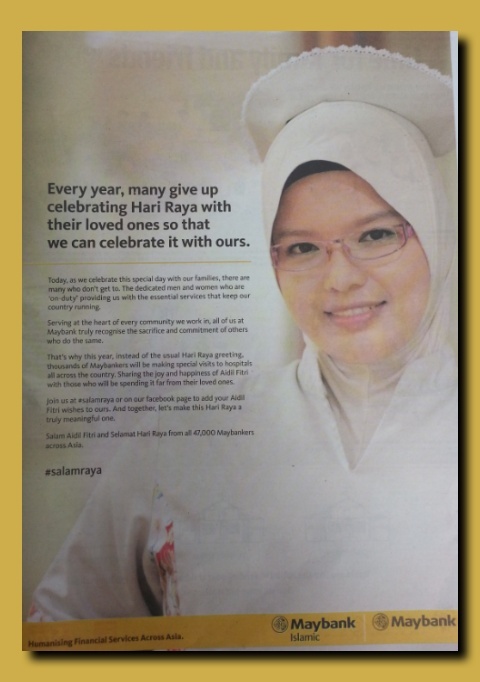 For us at McDonalds, we embrace Hari Raya with the same cherished spirit and values as would a family. along with a mood of festivity that we lovingly extend to you, our guests. Selamat Hari Raya Aidilfitri, Maaf Zahir & Batin from the McDonald’s family. 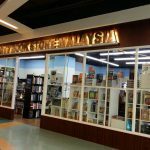 (note: For many Malaysians, we may head on to McDonalds for a quick meal during Raya since many eateries and restaurants are closed during Raya. 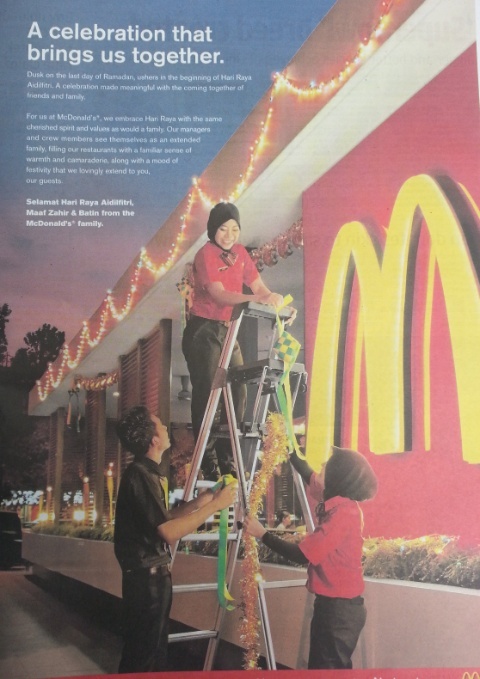 Year in year out, many McDonalds staff who are Raya celebrants work throughout Raya to serve at its network of restaurants- some do not get to go back to their hometown. It is something that I truly appreciate). Our shared experiences make us whole as we come together through different cultures and traditions. 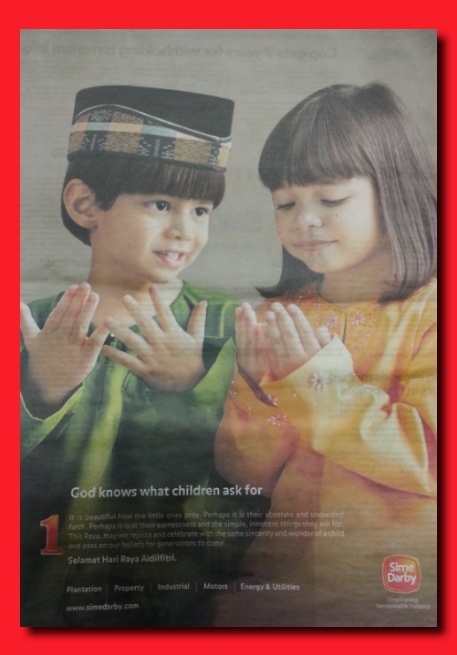 RHB – Easy banking: Aildilfitri is the time to forgive and seek forgiveness as family and friends come together. It’s the perfect time for us to reconnect and to build a stronger relationship with love and understanding.